Pinkwashing is a relatively new phenomenon; it refers to the practice of corporations not living up to their purported promises with regards to LGBT+ rights. The assumption behind the moniker is some companies claim to be supportive of the LGBT+ community for purely commercial gain, without a tangible commitment to spurring progress. “In other words, putting their pride effort and dollars where it actually matters,” says Jim Obergefell, a gay rights advocate and advisor to organizations and companies. Companies seeking to counter charges of pinkwashing can best serve the progress they hope to create by taking actions nobody will hear about. Why would this be the case? Surely large, powerful companies should publicly encourage progress? Not so, says Open for Business and several of their member companies. At an event hosted by the EU and Clyde Group on this topic, Ed Pilkington of British drinks company Diageo warned that “do no harm” sometimes means that private channels are the safest. For example, Western companies championing gay rights in countries hostile towards these issues (Nigeria, for example, where 9 out of 10 people are anti LGBT+) risk endangering the gay employees or LGBT+ rights groups they publicly support. The real battleground for LGBT+ progress lies in other, often developing, countries, where Western-based companies operate and have large commercial footprints in the public sphere. Businesses operating in Indonesia, Nigeria and Kenya — where gay rights have come under considerable fire — have so much power that there are questions surrounding their moral responsibility to act. These limitations might be a cruel irony to a brand manager eager to showcase their company’s record on these issues. But it speaks to the nuanced approach to diversity and inclusion required in an age where pinkwashing is unfortunately common, and companies are wary of it. These guidelines don’t mean that pinkwashing isn’t an issue for companies operating in the United States; they have plenty of room to grow, and plenty of space to fail too. At the SXSW festival in Austin this past week, pinkwashing was a hot button topic among many LGBT+ advocates, including my panel on LGBT+ rights and the private sector. The anchor example was pinkwashing at gay pride parades; increasingly, brands have chosen to participate in the annual pride parades of cities where they have a strong operations presence with a high number of employees or suppliers, or where they want to grow their customer base. Countless companies — from Coke to Colgate have participated in these festivals and, as a result, have drawn scrutiny. “It’s not enough to slap a rainbow logo on a pride float anymore,” says Hugh Steeler, an LGBT+ advocate. “Companies can actually incur greater risk in the delta between their public statements and private actions.” If your company markets itself as an “out and equal” brand but doesn’t truly promote LGBT+ rights in everything from supply chains to training programs, it is vulnerable. In the last decade, the leading strategists for corporate diversity and inclusion have come to understand pinkwashing as a potential challenge to their brands; one that requires attention to navigate its complexities. 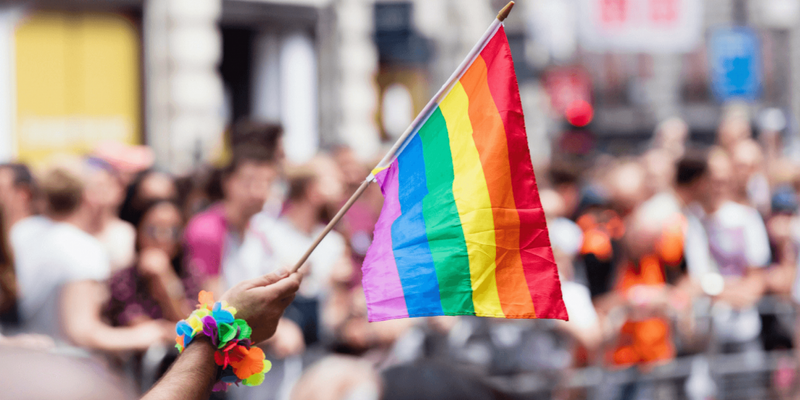 Recent analyses by Open for Business, an organization that works with brands to affect change in countries where gay rights are lagging, shows how concern surrounding pinkwashing is growing. Google Trends data shows that web searches for the term “pinkwashing” steadily rose in recent years, “indicating a growing concern that LGBT+ issues are being co-opted.” In fact, the regular “spikes” in Google and Twitter data reflect increased interest during pride season. In the United States, most large companies have acknowledged these realities and worked to improve (though there is room for growth: a study from last year shows that about half of American LGBT+ employees remain closeted at work). Effective companies acknowledge that the promotion of LGBT+ rights is good for their bottom lines and understand that their influence should sometimes be wielded in private ways. The best brands combine those lessons and create an authentic and powerful narrative.